Once, Jesus was asked by the Pharisees when the kingdom of God was coming, and he answered, “The kingdom of God is not coming with things that can be observed; nor will they say, ‘Look, here it is!’ or ‘There it is!’ For, in fact, the kingdom of God is among you.” (Luke 17.20–21)This week I want to take a moment to share what has the potential to be truly revolutionary if you can get your heads and hearts around it. In fact, not only is this revolutionary, but it seems so obvious when one reads the Jesus story that it is truly bizarre how so many today miss it. I’ll be splitting it into two parts over the next two weeks. So let’s begin with part one. What I want you to notice in the following passages is that the Kingdom of which Jesus spoke was not proclaimed to be coming at some point in the future, as some event to which we look with anticipation. No, the kingdom, of which Jesus is king, had come, then and there, with the arrival of Jesus Himself, and Jesus’ followers were invited to participate in the proclamation of its arrival. Jesus was not announcing that His kingdom would arrive in the future; He proclaimed that it had come, rooted in his own arrival. He saw His purpose as traveling from one city to the next, proclaiming it’s arrival! With the arrival of Jesus, a new Kingdom had arrived. This Kingdom, at the time of Christ’s proclamation, had yet to measure up against the kingdoms of this world (particularly the Roman Empire), but it would, and it would conquer them. Not the way though, we typically think of how kingdoms conquer kingdoms. Jesus, through the weapon of nonviolent noncooperation (see the eSight series The Active, Nonviolence of Jesus), would establish his Kingdom in the very territory claimed by “the Satan” who claimed to be “ruler of the kingdoms of this world.” (see Luke 4.5; John 12.31) As N.T. Wright states, “The birth of this little boy is the beginning of a confrontation between the kingdom of God—in all its apparent weakness, insignificance and vulnerability—and the kingdoms of this world” (N. T. Wright, Luke for Everyone). Today, we live on the other side of Jesus’ death and resurrection. Jesus’ Kingdom is here now! It is all around us! Paul called it the “new creation”! But it is not readily recognized or obvious to all at this time. This is how I understand these two passages in Luke 21 and 22, and, as always, we are all in process of understanding, but today, this is how I understand them. a. Jesus arrived and with Him arrived a New Kingdom. c. Jesus then, after His death and resurrection, conferred this new Kingdom on us. d. And we are called to enlarge the boarders of this Kingdom until all opposing dominion, authority, and power to Christ’s dominion, authority, and power has been removed, and then the age of the UNOBSTRUCTED reign of Christ’s Kingdom will begin. 1 Corinthians 15.24–25: Then the end will come, when he hands over the kingdom to God the Father after he has destroyed all dominion, authority and power. For he must reign until he has put all his enemies under his feet. No, I want to be clear; we do not enlarge Christ’s Kingdom through methods that are foreign to His Kingdom. We do NOT enlarge Christ’s Kingdom by the methods used by kingdoms of this world. No, no! We do not enlarge Christ’s Kingdom by the power of “the sword” but rather through the power of the cross. We do not enlarge Christ’s Kingdom by seeking to obtain and use power over those in opposition to Christ’s Kingdom, but by humble, servant love, coming under and serving those in opposition to Christ’s kingdom (See Paul’s use of the word “submit” in the context of slavery, unbelieving, patriarchal husbands, secular government, etc.) We do not slay Christ’s enemies, but oddly enough, as counter intuitive as this is, by allow ourselves to be slain BY Christ’s enemies, thereby, through our own death, conquering them through our unconditional forgiveness and our humble servant love for them. 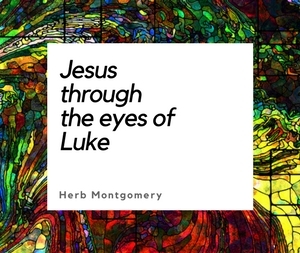 This is the history of the first three hundred years of the Jesus movement, without exception. Thus, we becoming, like He who died on a Cross before us, conduits and subjects of this Christ. Let me illustrate what I have just stated so that you can understand it with pristine clarity. What I want you to notice in this passage is that we do NOT fight to prevent ourselves from being killed but that we fight THROUGHBE killed. Understood correctly, the cross, or nonviolent-noncooperation IS a weapon. But it is a weapon of an entirely different nature. It is a force more powerful. In other words, the first century followers of Jesus did not view those who were killing them as their enemies but rather as those being used by the real enemy. And through their own being slain, they would be won away from service to the enemy to obedience to Christ. In church tradition the story is told of the beheading of James, John’s brother, in Jerusalem. It is said that the Roman officer who guarded James watched amazed as James defended his faith at his trial. Later, as the officer accompanied James to the place of execution, he became overcome by conviction. He declared his new faith to the judge and knelt beside James and, as a Christian, offered to be beheaded too. The blood of the martyrs was seed. Not only did these followers of Jesus live well, they died in such a manner that even their enemies were won over. To the early followers of Jesus the cross was something that he was doing for them; yes, but NOT instead of them. The cross was something that they too were to embrace as followers, or disciples, of Jesus. Revelation 21.24: The nations will walk by its [the New Jerusalem’s] light, and the kings of the earth will bring their glory into it. 1.Go back and prayerfully reread Luke 9.22–24 in context. 2.Mediate on Matthew 5.38–48 each day for some time. Even if it’s only for fifteen minutes a day this week, spend some time pondering Jesus’ words. Gandhi used to meditate on the Sermon on the Mount for two hours each day, and though Gandhi used these methods to enable his own nation of India to drive out the nation of Britain, it is obvious that there was wisdom we must rediscover in Jesus’ Sermon on the Mount. Write down any thoughts, fears, questions, or insights that Jesus shares with you as you do this exercise. Remember that Jesus’ teachings on living non-violently are rooted and grounded in His radical new way of perceiving God and what He is really like. 3.Be prepared to share any insights this exercise brings you with the group. I want to be clear, I absolutely believe in the literal second coming of Jesus, but I refuse to use Jesus’ second coming to deny all that Jesus accomplished in his first coming. God’s plan is not relocation (getting us out of here) but restoration (using us to heal this world). The Jews call it, Tikkun Olam. Jesus called it enlarging the Kingdom. (See Matthew 10.8) Remember, God is not taking us somewhere else to spend eternity with Him; He is coming HERE to spend eternity with us! (See Revelation 21-22) We are not just passing through; this place has been won back through the death and resurrection of Jesus, and given back to us as a gift, as our home once again. I do believe in Jesus’ literal second coming, but we must not use it as an excuse for not taking Jesus’ teachings seriously, as difficult as they may be, in the here and now, today. It is through following way of life of Jesus’ Kingdom today, even if it costs us our very lives, that Jesus’ Kingdom will reign UNOBSTRUCTED in the future. They are connected, and it is vital that we get the chronology correct. We are not waiting on Jesus’ return to create a world where we will be able to follow Jesus’ teachings at some point in the future. Rather, the age to come, in a deeply obstructed form, has actually already begun with the first coming of Jesus. We, as followers of Jesus, and just like we see Jesus doing in the actual Jesus story itself, we actually get the privilege of bringing about it’s unobstructed era in the future by the way we choose to live our lives today. Much to ponder for sure. We’ll take a look at part two next week. I love you guys. Now, go enlarge the Kingdom! The “Gospel” of The Kingdom!